Withthree decades as a top producing Realtor, coupled with thirty years of residency in Virginia, allow Rick to provide his clients and customers with a tremendous knowledge of the home market in Northern Virginia. He feels his success is based, not on the number of homes he has sold, but on the number of people he has helped reach their goal of finding that home that is just right for them. His familiarity with the characteristics and amenities of the area neighborhoods, his knowledge of financing and his tenacity in satisfying client needs, make Rick an invaluable asset to home purchasers. 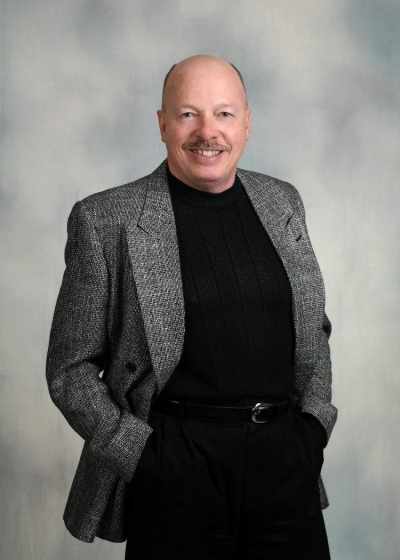 With a Bachelors Degree in marketing and certified as a member of the Realtors Institute of Virginia, he is also an acknowledged expert in the marketing of homes. If you are looking for results through personal attention to your needs and a dedication to achieve them, call Rick today!!! He is a licensed realtor with the Commonwealth of Virginia. THE "WORRY-FREE" HOME. NEW ANDERSEN WINDOWS, NEW HVAC WITH GAS HEATING AND CENTRAL AIR, NEW TANKLESS HOT WATER HEATER AND NEW ROOF. EXPERTLY RENOVATED BATHS, UPGRADED KITCHEN WITH DAKOTA MAHOGANY GRANITE COUNTERTOPS, 42" CHERRY CABINETRY, FOOD PREP CENTER ISLAND AND GENEROUS TABLE SPACE. SUN-WASHED FAMILY ROOM WITH GAS FIREPLACE, NEW ANDERSEN SLIDER AND LIGHT-CAPTURING WINDOW WALL. WELL-PROPORTIONED BEDROOMS . MASTER SUITE FEATURES CATHEDRAL CEILING WITH CEILING FAN, COMFORTABLE SITTING AREA, SEPARATE HIS & HER WALK-IN CLOSETS (ONE WITH ORGANIZERS AND CHANDELIER) AND ADJOINING DESIGNER BATH WITH MARBLE FLOORING, SLIPPER BUBBLER TUB, COMFORT-HEIGHT VANITY WITH DUAL SINKS AND AN UPSCALE FRAMELESS-GLASS SHOWER. WALK-OUT LOWER LEVEL AFFORDS A FITNESS / REC ROOM WITH 4-PERSON SAUNA, WALK-IN CEDAR CLOSET, WINE CELLAR, STORAGE SPACE, 3RD FULL BATH AND SECLUDED OFFICE/5TH BEDROOM. OUTSIDE, THE BACKYARD PROVIDES A MAIN-LEVEL TREX SUNDECK WITH ELECTRIC AWNING, SCREENED PORCH AND STAMPED CONCRETE PATIO.